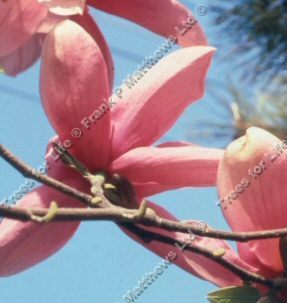 Star Wars (Magnolia 'Star Wars') is the result of the crossing of the magnolia varieties M. liliiflora x M. campbelli. It was first introduced in New Zealand. Star Wars is early to flower as a young tree, which makes it a popular choice. The lovely large rich pink flowers, white inside, appear for six weeks, generally from mid March onwards. 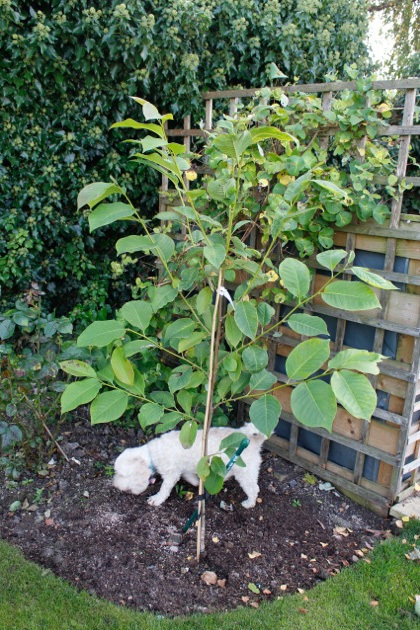 This tree is supplied at a height of between 1.4 and 2.0 metres in a 7-15 litre container for year round planting and better results than from either bare-root or rootballed stock. Magnolias are generally a low maintenance tree that can tolerate a small amount of drought but not wet for too long so make sure the soil has good drainage. Frequent watering in Summer is better than one large drowning. Magnolias do not require a great deal of pruning but removing dead, diseased and crossed over branches is a good idea. Pick a good spot and do not move them as they may rebel against it by hiding the remote control or not being as vigorous as before. In summary they don't like to be moved/transplanted. Arguably larger pots mean larger root balls and therefore more vigorous growth.